This 8-oz. 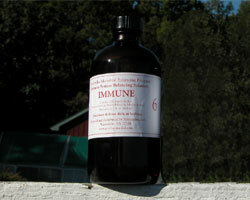 refill bottle is the most economical way to keep your family supplied with the MBP Immune System Balancing Solution. Now you can keep you and yours stocked in the three MBP Balancing Solutions we recommend for everyone (young or old, healthy or compromised), thanks to the 8-oz. refill bottles. Are you a family of four? One of these bottles will last you and your family three to four months. For more details about the MBP Solutions and directions for how to take them, see the Perelandra MBP Balancing Solutions Guide on the PERELANDRA web site.